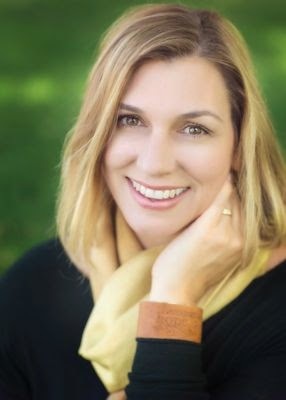 Please welcome Amy Impellizzeri to The Qwillery as part of the 2014 Debut Author Challenge Interviews. Lemongrass Hope was published on October 8th by Wyatt-MacKenzie Publishing. Amy: Thanks for having me! I have always been a “writer” (And I have the vintage detailed diaries from childhood to prove it …) I love that Flannery O’Connor quote: “I write because I don't know what I think until I read what I say.” That’s always been me. Although, before I wrote Lemongrass Hope, I was a different kind of “professional” writer - a corporate litigator, in fact – and what I wrote for a living was very different than what I write now. In 2009, after thirteen years in that world, I left my career writing summary judgment motions, deposition outlines, and closing arguments, and returned to creative writing – both fiction and nonfiction. Amy: Are they really, truly, mutually exclusive? If so, I have to align myself with the plotters. I need to know where I’m going in a general I-already-know-how-this-is-all-going-to-end way. In writing this novel, I did let the characters surprise me, and develop on their own. But I will often mull over the details of a scene, its dialogue, or an entire chapter for days before I actually put pen to paper. Amy: Easy. Putting it out there in the world. For me, the writing itself is a compulsion and a necessity and generally the act of writing is one I LOVE. I wrote about this very issue recently on Caroline Leavitt’s blog. And while, I’m subject to all of the same challenges that other writers face – writer’s block, story structure problems, too many occasions of the same word in one manuscript (in Lemongrass Hope – everyone was “whispering” until I fixed the 143 word occurrences during the editing process) – it’s so hard to put anything I write out there, from articles, to blog posts, to my debut novel. Because it’s not just that I want people to like it – I want them to feel like it was genuinely worth their time to read. Really, what I’m trying to say is - I want them to LOVE it. Amy: Well certainly I am drawn to those who have done magical realism and done it so well. The great Gabriel Garcia Marquez and Yann Martel come to mind instantly. One of the most joyful moments I experienced on the road to publication of Lemongrass Hope was the day I obtained permission to reprint an excerpt of Life of Pi in my own novel. In terms of current contemporary fiction, I am a huge fan of Jojo Moyes, Jess Walter, and Caroline Leavitt, just to name a (very!) few. TQ: Describe Lemongrass Hope in 140 characters or less. TQ: Tell us something about Lemongrass Hope that is not in the book description. Amy: It will surprise you. Up until the very last page. If you haven’t read it yet, you don’t know what REALLY happens, no matter how many descriptions or reviews you have read to date. Trust me. TQ: What inspired you to write Lemongrass Hope? The novel is described by the publisher as "...a captivating and unpredictable love story, with a dose of magical realism and time travel." Why add both elements of magical realism and time travel to a love story? Amy: The easy answer is that I had a very surreal dream a few years ago that haunted me and gripped me, and gave rise to the core magic that readers find in Lemongrass Hope. However, as the novel developed – as the love story developed - I really wanted to explore the concept of time travel in a new way that doesn’t involve time machines or flashy, abrupt transitions to the past. I wanted the transition to be seamless. I really wanted the reader to BELIEVE what had happened in the story. To lose themselves in the possibility. TQ: What sort of research did you do for Lemongrass Hope? Amy: Lemongrass Hope takes place in three main regions – New York City and its suburbs; Botswana; and the Bahamas. I lived in the New York area for thirteen years and I have traveled to the Bahamas, but not Botswana (yet!) so my experiences in those first two places certainly informed certain sections of the novel. Years ago – before I started the novel - I read about the Elephant Sanctuary in Botswana and the marula forests, and was utterly fascinated. As I worked on the novel, that research was critical to the development of the story. TQ: In Lemongrass Hope who was the easiest character to write and why? The hardest and why? Amy: Dee was the easiest character to write. Even though she plays a small role, it’s a critical one. And I am absolutely mesmerized by her. She’s definitely a character that evolved completely on her own, with little help from me. I have fantasies about writing another book focusing entirely on her story – which I’m certain would be so very intriguing. Rob Sutton was the hardest to write, and in fact, I had to spend a fair amount of time working on his character development during the editing process through some pretty hefty character arc exercises. Regardless of what you think about him in the final version of the novel, in the earlier versions, he was just … too unlikeable. That was never my goal for him, and so I spent a lot of time thinking about him, re-writing him, and working on him. TQ: Give us one or two of your favorite non-spoilery lines from Lemongrass Hope. “That’s how gambling works, Kate. To succeed, you can’t be too practical. Or too conservative. “Ah, it’s the great inverse of life.” I clinked my glass on his. Amy: I’m finishing up work on my first non-fiction book, entitled Lawyer Interrupted (ABA Publishing) due out in Spring 2015. Which means that before year’s end, I can turn my attention to my next novel, and see which one of the two concepts that are sketched out (in true “planner’s” fashion) actually lends itself to a full-length novel. On one hand, I have been working out an idea that will be completely separate from Lemongrass Hope, and on the other – developing an idea that would explore one of my favorite Lemongrass Hope character’s back story . Stay tuned …. Amy Impellizzeri is a reformed corporate litigator and author. After spending a decade at one of the top law firms in the country, Amy left in 2009 to advocate for working women, eventually landing at a VC-backed start-up company, ShopFunder LLC (formerly Hybrid Her - named by ForbesWoman as a top website for women in 2010 and 2011), while writing her first novel, Lemongrass Hope, which debuted as an Amazon Best-Seller (Fantasy/Romance and Fantasy/Time Travel) and her first non-fiction book, Lawyer Interrupted, which is scheduled to be published by the American Bar Association in 2015. Oprah's very first Book Club Selection Author and NYT #1 Best-Selling Author, Jacquelyn Mitchard, has said “Lemongrass Hope is that fine and fresh thing – a truly new story …. Amy Impellizzeri is a bold and tender writer, who makes the impossible feel not only real, but strangely familiar.” NYT Best-selling Author, Caroline Leavitt, called Lemongrass Hope: "haunting, mesmerizing and unforgettable." Foreword Reviews Magazine chose Lemongrass Hope as one of five exemplary titles in romance fiction featured in its fall issue of "Indies We Love! 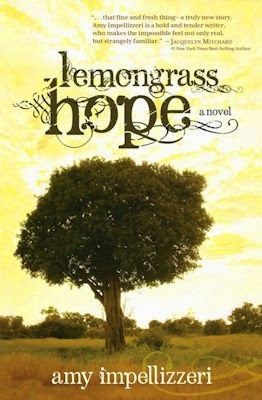 ", and Lemongrass Hope has received acclaim from book reviewers, bloggers, and authors alike, including all 5-star reviews on Amazon. Amy's essays and articles have appeared in The Huffington Post, The Glass Hammer, Divine Caroline, and ABA's Law Practice today, among more. Amy currently lives in rural Pennsylvania where she works and plays and keeps up on all of the latest research confirming that large volumes of coffee are indeed good for you.